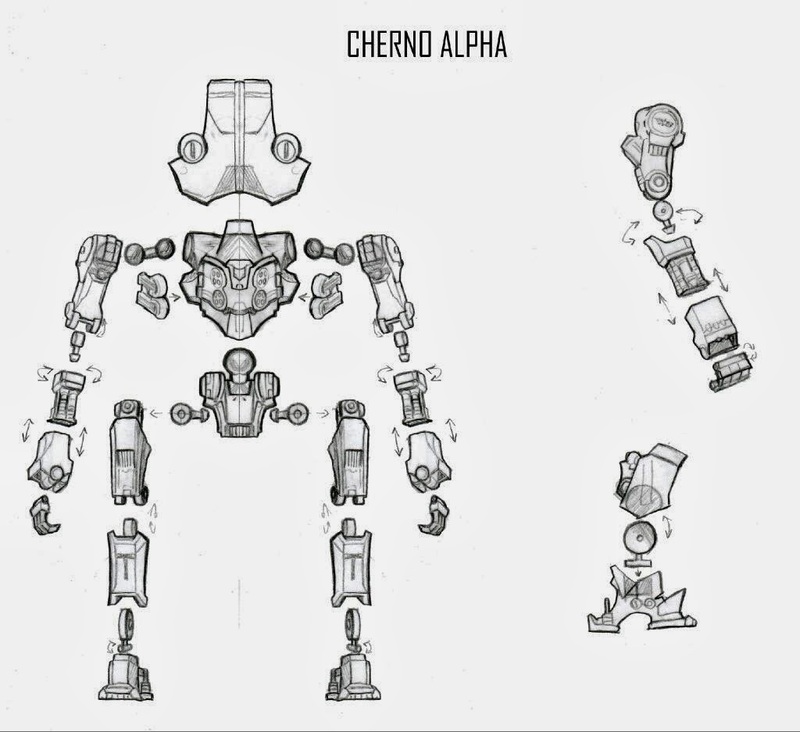 Annnd we're back! 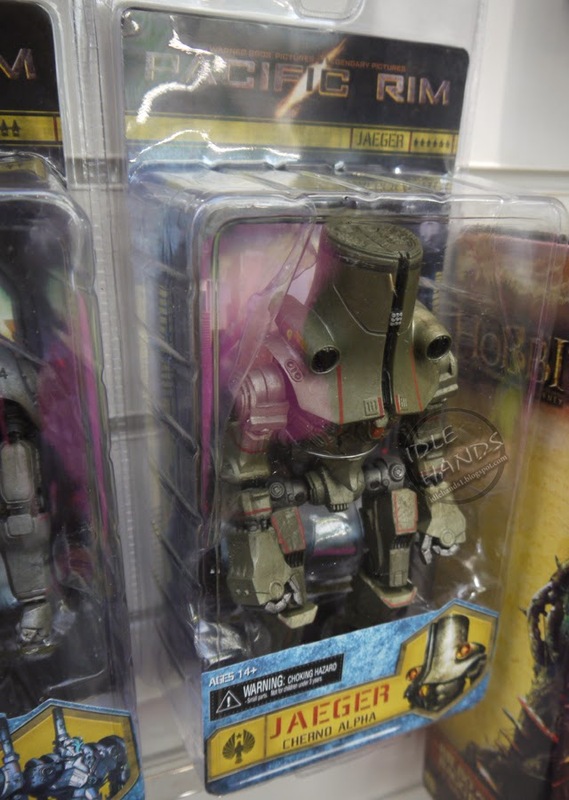 After sifting through our mound of UK Toy Fair images and heaps of info matching distributors with U.S. companies and playing rousing games of "What the hell is that on the far right and is there a clearer picture of it??!!" 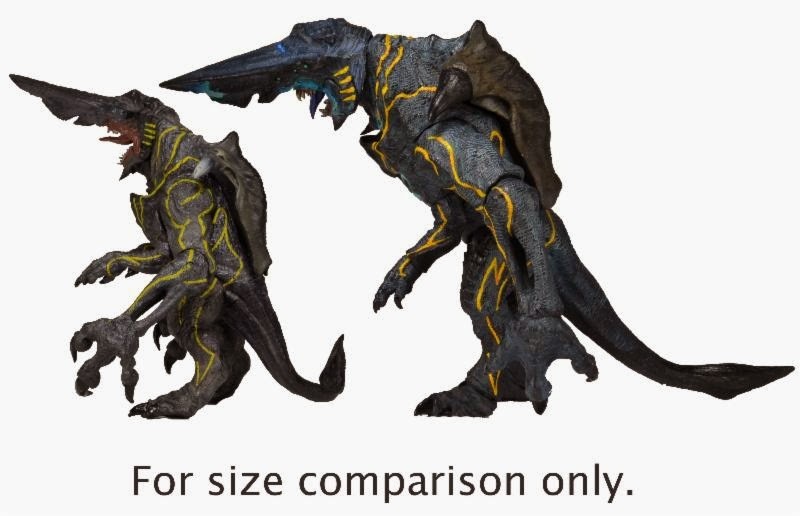 ...we now have a respectable amount of news to share! 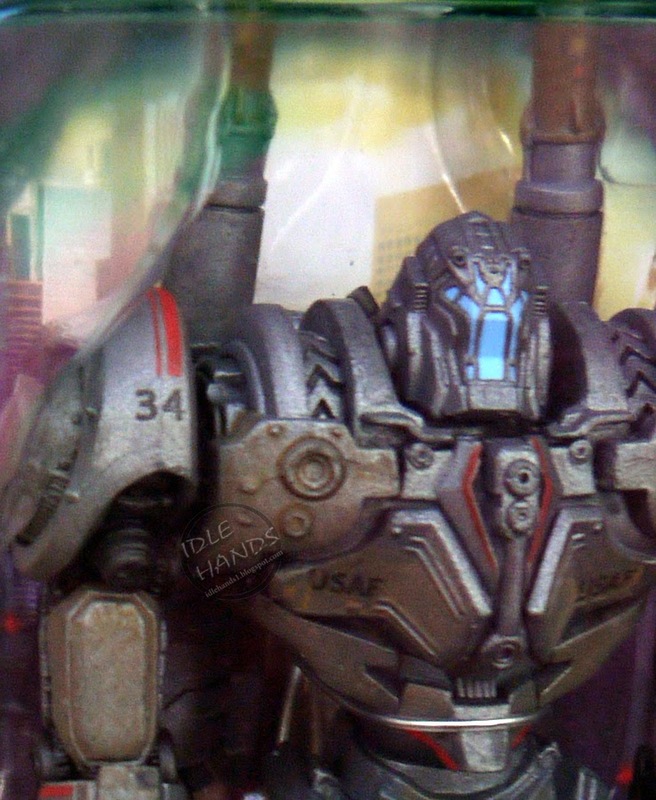 First up, we'll take a look at NECA's Pacific Rim series 3. 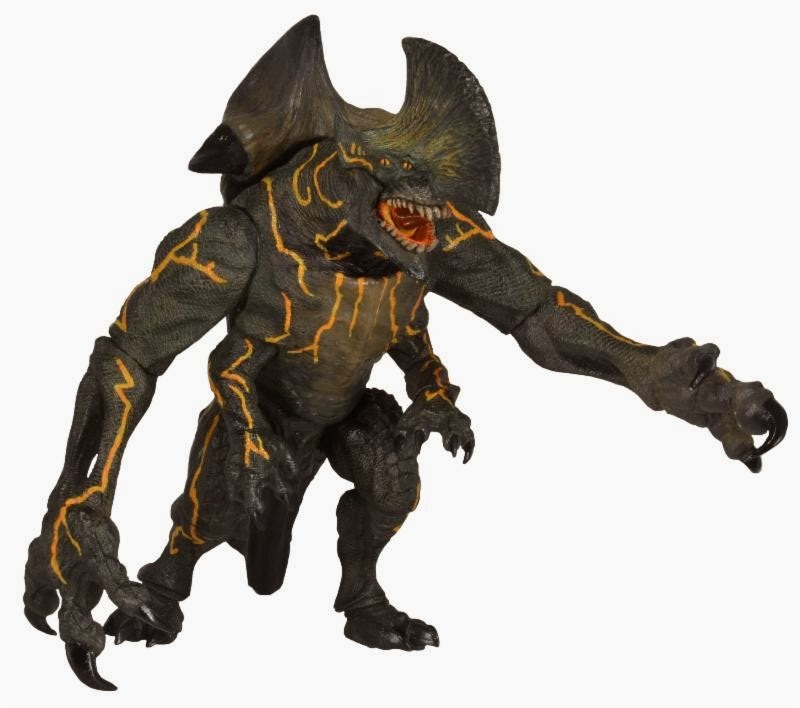 These days you have to be quick when it comes to NECA. 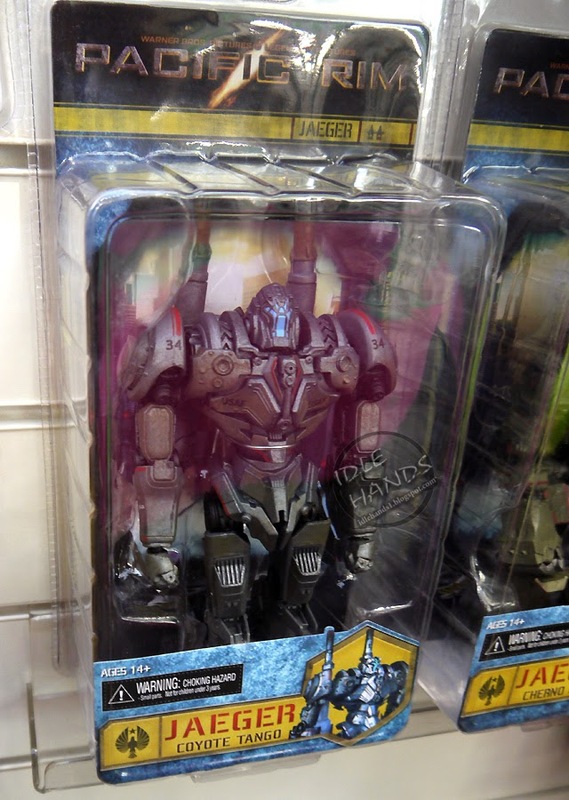 If you find something up for pre-order on a retailer website, chances are the company has already shown it off in great detail on Necaonline.com. 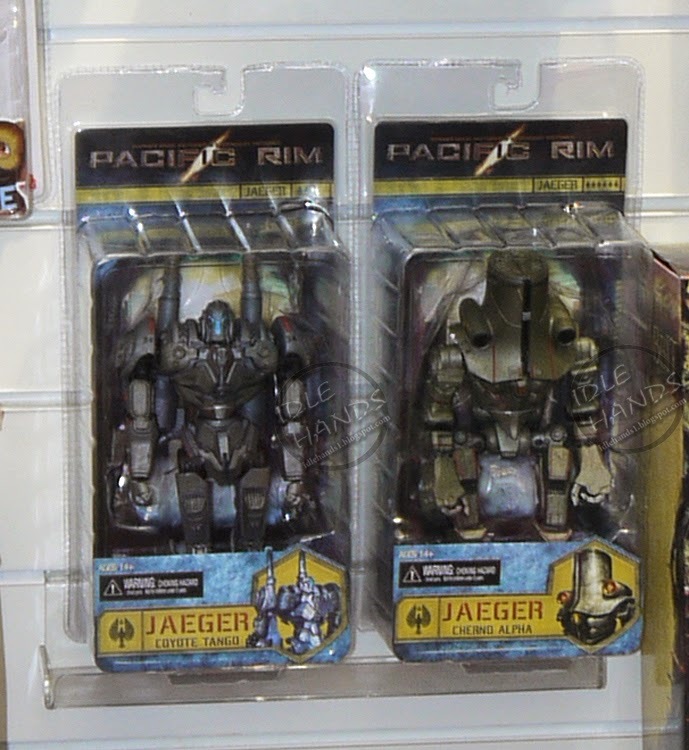 If you find some new figure out in the wilds of a toy industry show..well...you'd best post it right quick. 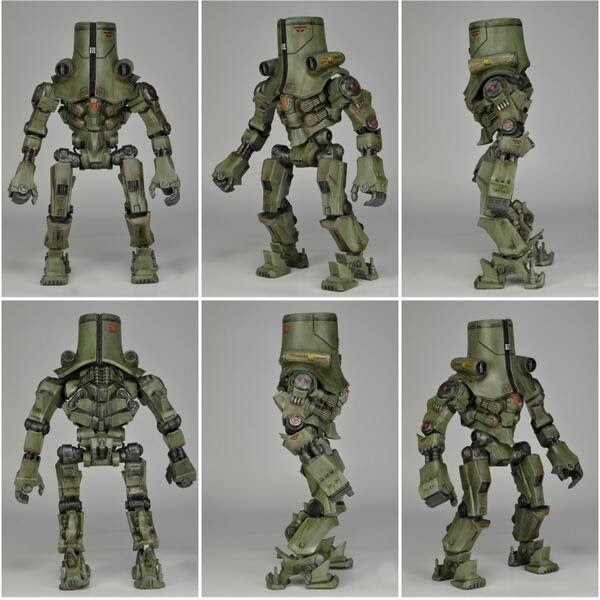 Case in point..in the time it took us to dig out these images, NECA posted complete turn-arounds of the Cherno Alpha paint master on Twitter!!! 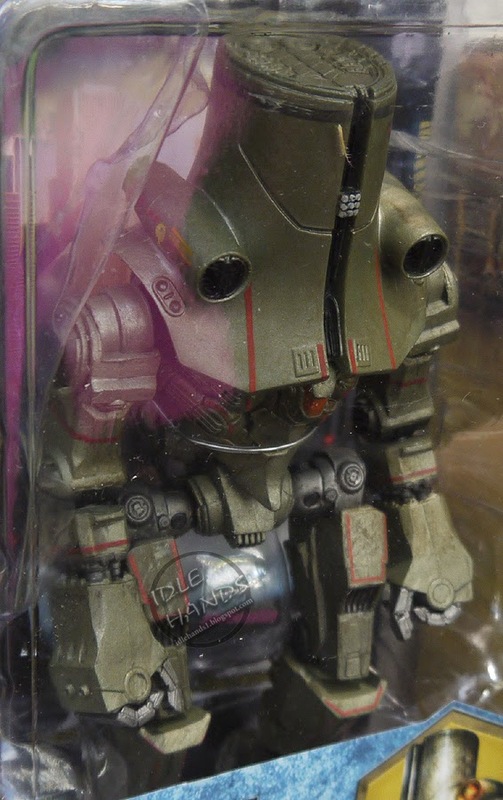 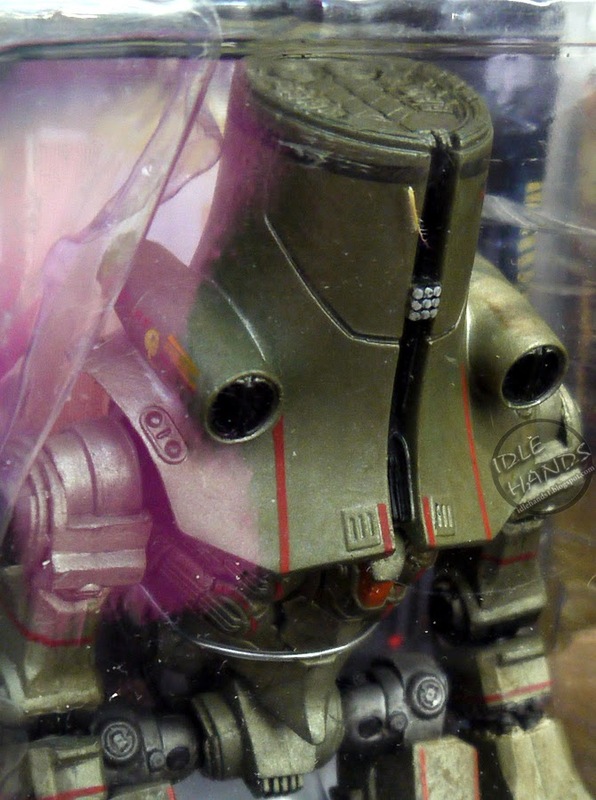 Cherno Alpha (with NECA's turn-around shots) - Russian Jaeger Cherno Alpha stands nearly 8″ and features over 20 points of articulation and incredible detail. 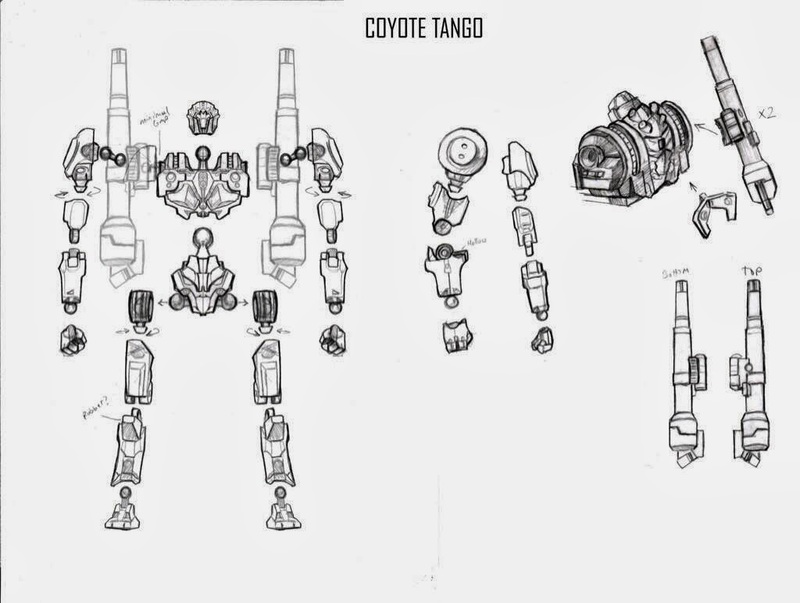 Coyote Tango - Japanese Jaeger Coyote Tango stands nearly 8″ tall and features over 20 points of articulation, including movable mortar cannons that slide on a rear mounted track. 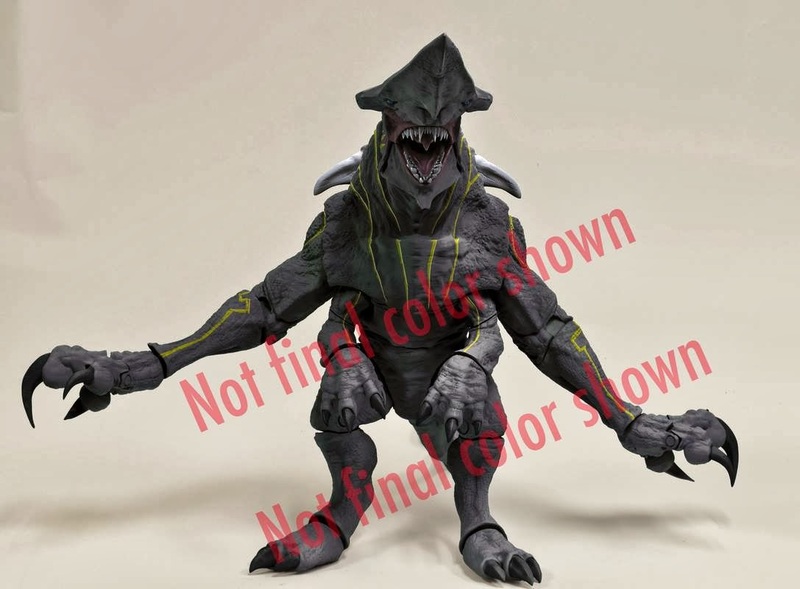 Battle Damaged Knifehead - the largest Category III Kaiju, features an entirely new body sculpt that is 50% larger than the previous version, with improved detail and articulation. 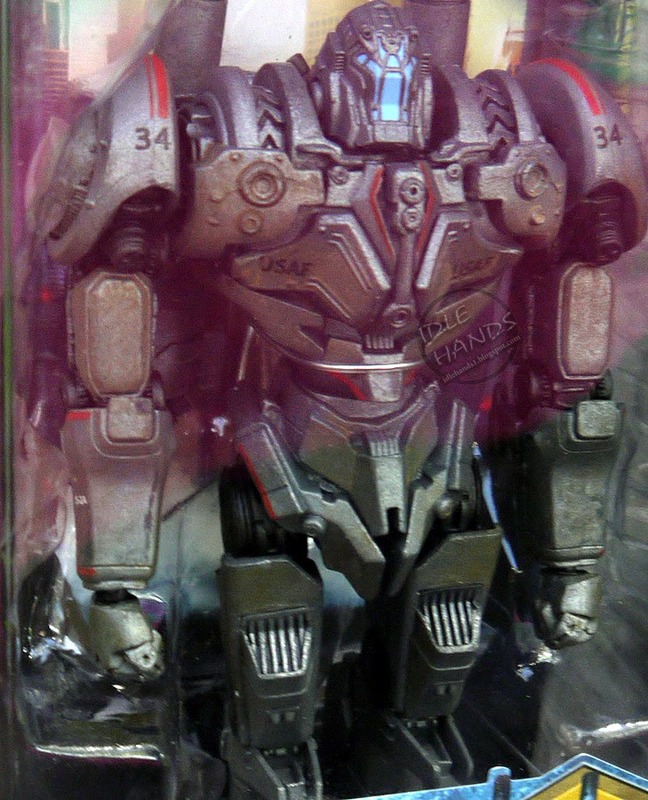 This version of Knifehead also sports over 20 points of articulation and battle-damaged deco reflecting the injuries it sustained in its fight with Gipsy Danger. 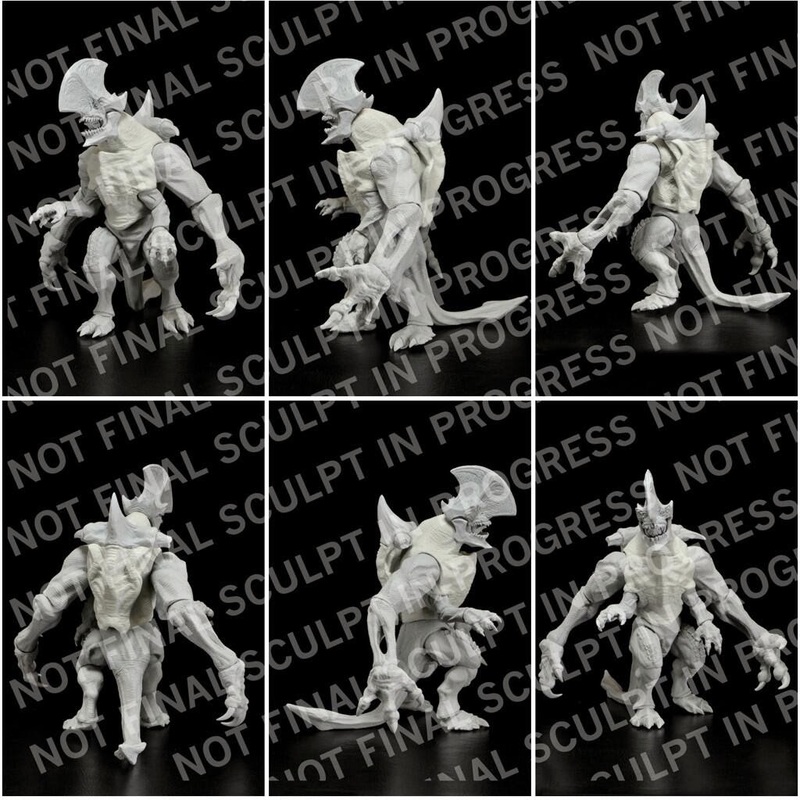 Trespasser - Trespasser is the first Kaiju to emerge from the breach. 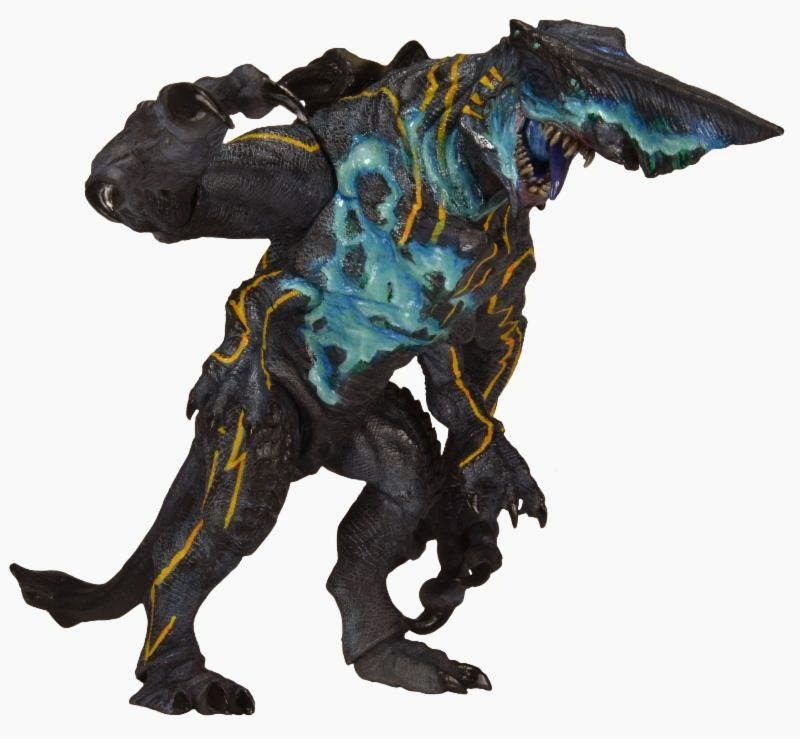 It is huge in every way and features incredible detail, an enormous back fin, and over 20 points of articulation, including a hinged jaw and bendable tail. 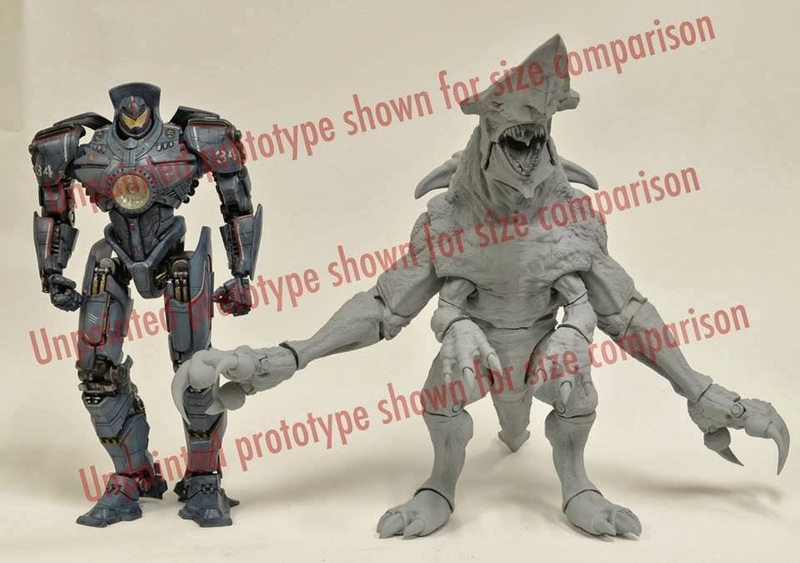 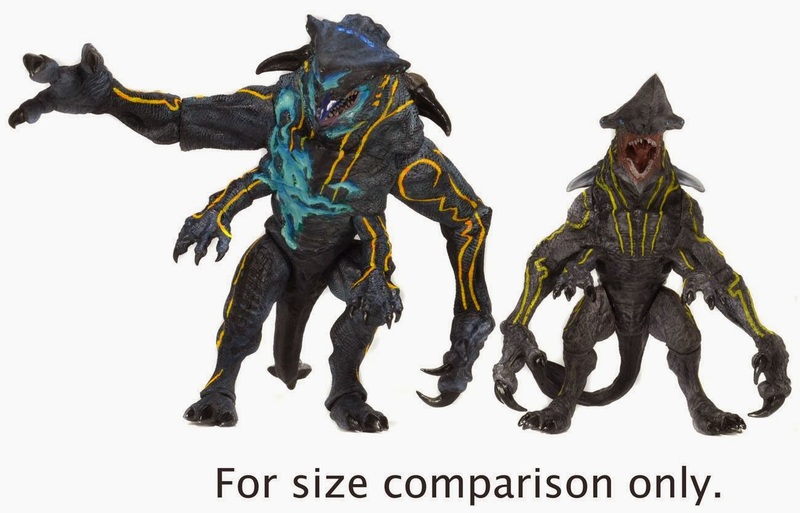 We can also expect a second run of the 18 inch Gipsy Danger alongside the brand new 18 inch Knifehead!